TripAdvisor honors such awards to accommodations, restaurants, and attractions that consistently display commitment to providing hospitality excellence to clients. The award uses the following criteria such as quantity, quality, as well as how recent the reviews and opinions were submitted by the travelers to the TripAdvisor over a 12-month period. To qualify for the award, establishments should be able to maintain an overall TripAdvisor bubble rating of a minimum four out of five, have at least a number of reviews, and be listed on the TripAdvisor website for at least 12 months. 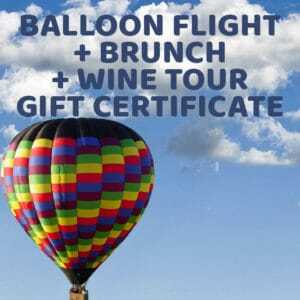 Balloons Above the Valley is also awarded with the “TripAdvsor Certificate Hall of Fame.” This new and special award honors businesses and establishments that have been given a Certificate of Excellence for at least five straight years. Apart from the Hall of Fame certificate, winning businesses also receive a window sticker to showcase their accomplishment as well as boost their reputation. Winning businesses are also given other perks such as an online badge for use on their website, and guidelines on how to properly advertise this accomplishment in their local area. According to TripAdvisor, businesses and establishments awarded with the “Certificate of Excellence” has seen a more significant increase in page views (about 14%) compared to establishments that have never won one of the TripAdvisor awards. From its quiet beginnings in 1976, Balloons Above the Valley has grown to become one of the prominent hot air balloon rides in the region. Throughout its almost four-decade history, BATV has stood the test of time as well and changing the trends in Napa Valley tourism. Our commitment to excellence and customer satisfaction has enabled us to last and prosper in this industry. Congratulations to the team at Balloons Above the Valley! With this recent honor from the most trusted travel website TripAdvisor, we will continue our pledge to provide the safest and most enjoyable hot air balloon flights, excellent service, and warm hospitality to our clients.